In an article today headlined Blight, Like Beauty, Can Be in the Eye of the Beholder, the New York Times does a reasonable job surveying the issues regarding blight at the Atlantic Yards site, quoting a range of voices, even Assembly Member Roger Green, who supports the project but has said the site isn't blighted. 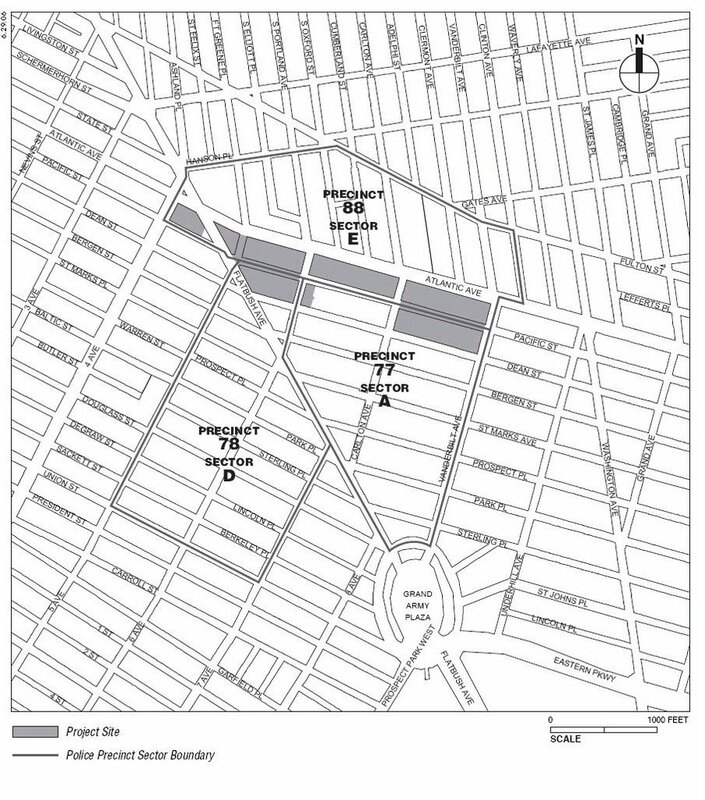 The study also dwells in some detail on the eight-acre railyards that make up about one-third of the site, and which also fall within an urban renewal zone the city established along Atlantic Avenue in the late 1960’s. 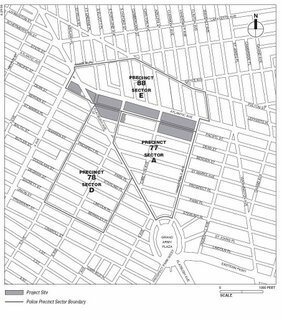 The railyards hindered hoped-for development in the renewal zone for decades, the study notes, and continue to do so on those blocks to the south and west of the yards where the project would be. 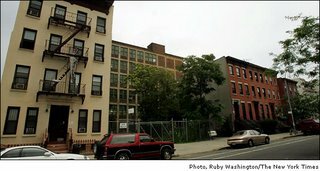 However, there were functioning manufacturing businesses on those blocks through the 1990s, including the Daily News printing plant and the Pechter (formerly Ward) Bakery. A process of individual rezonings had begun, and the Daily News building was converted into the Newswalk condos, on a plot of land cut out of the proposed project footprint. ATURA likely will be cited to justify the use of eminent domain, given the Supreme Court's ruling that such use must be preceded by a governmental planning process. But what if the planning process excluded more than one-third of the project site? The study also included a look at crime in the area. Because the Police Department does not collect crime statistics block by block, the study could measure only indirectly whether the site has more crime than the area surrounding it. AKRF examined three police “sectors” in Brooklyn, each of which overlaps parts of the site but extend well beyond it. The study compared the combined crime rates in those three sectors with the combined crime rates for their respective police precincts. Finding the precinct numbers lower, the study declares that “residents and businesses on the project site are more susceptible to crime” than those in surrounding neighborhoods. Overall crime in the three precincts, however, decreased slightly between 2004 and 2005. “They make the footprint sound like it’s a Lower East Side slum,” said Daniel Goldstein, the spokesman for Develop Don’t Destroy Brooklyn, an umbrella organization for groups opposed to the project. But neither the overall crime numbers nor Goldstein's statement offer a sufficient rebuttal to a sketchy thesis. As I pointed out, the crime rates in two of the individual sectors were lower than in the larger precincts. Thus, the apparent crime increase could be attributed to only one of the three sectors, 88E. And there was no evidence that the footprint itself contributed to higher crime. In fact, I recently searched the articles in a local Brooklyn newspaper regarding crime in Sector 88E. Of the crimes reported in 2006 that could be isolated to that sector, all were north of Atlantic Avenue, above the railyards. Of course, that evidence is anecdotal, but it's at least as solid as the ESDC's speculation. The Times article refers to the authors of the DEIS, AKRF, as "a consulting firm with long experience in land use and environmental engineering." True, but lobbyist Richard Lipsky of the Neighborhood Retail Alliance (who in this case is lobbying for Forest City Ratner) has previously written, "The AKRF folks are simply rationalizing their job which is to make a great deal of money by minimizing impacts and conducting dishonest research.